…and solemnly chanted together, for love of Him, and for the salvation of souls. stand beside the earliest roads, ask the pathways of old which is the way to good and walk in it; thus you will find rest for your souls. 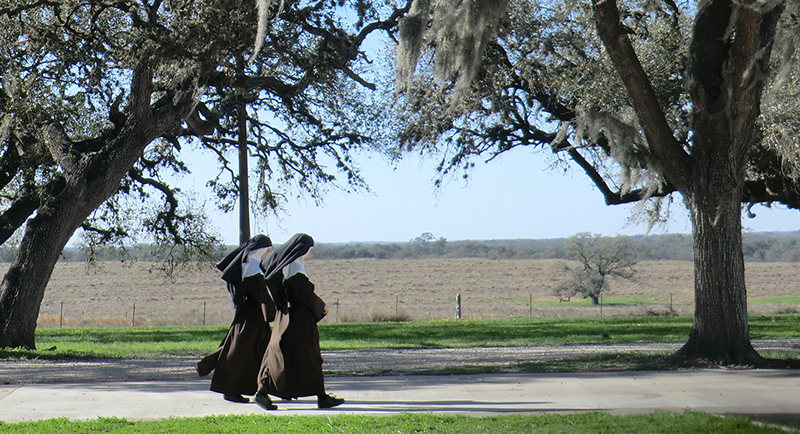 Two Nuns of the Ancient Observance of Carmel, of Wahpeton, North Dakota, by the grace of God are beginning the process of establishing an enclosed, contemplative community within the Diocese of Victoria, Texas. 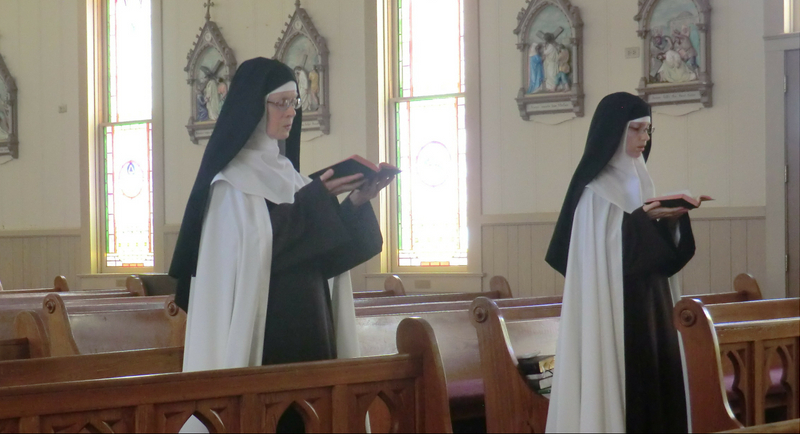 They presently reside at the rectory of Saints Peter and Paul Church in Meyersville, Texas, south of Cuero. 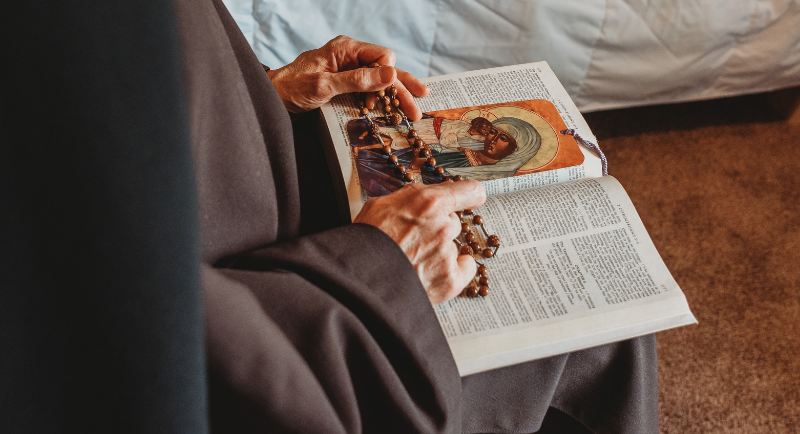 In accord with Carmel's Ancient Observance, these contemplatives follow a way of life centered on Jesus Christ, with due honor given to His Mother, Mary Ever Virgin. In common, they chant the Liturgy. In solitude, they ponder God's Word. In the spirit of Elijah, Father of Carmel, they seek always to stand before the face of the Living God. The enclosure creates a place set apart. The purpose of the separateness, solitude, and silence of the enclosure is to free those who dwell therein from distraction, that they may be wholly occupied with the love of God.